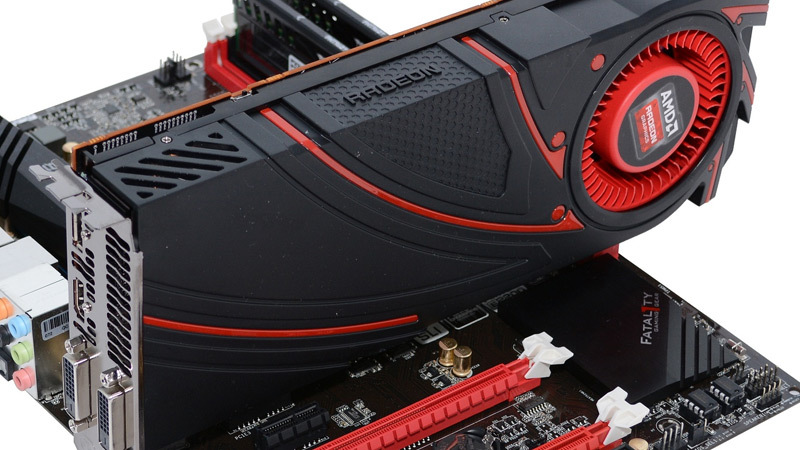 AMD has finally revealed when they'll be announcing their next-generation line of graphics cards: June 16th, during an event named "AMD Presents: The New Era of PC Gaming", which begins at 9am PST at the Belasco Theater in Los Angeles. The presentation will kick off the same day as the AMD-sponsored PC Gaming Show, which is an event that will take place during E3 to focus specifically on the PC platform. Both the PC Gaming Show and AMD's The New Era of PC Gaming will be streamed live. There's no word on when AMD will actually release graphics cards based around their new 'Fiji' GPU, but at least we'll finally get some details on the GPU at this event. It's possible that an actual release of the cards will occur some time after the event, similar to AMD's launch of Hawaii back in 2013. In the meantime, AMD CEO Lisa Su did show off their Fiji GPU at the company's Computex 2015 press event, which was mostly focused on new APUs. Thanks to Hardware.fr's photograph, you can clearly see the GPU and its surrounding HBM memory on the chip, which should be found beneath a beefy cooler on soon-to-be-released graphics cards.